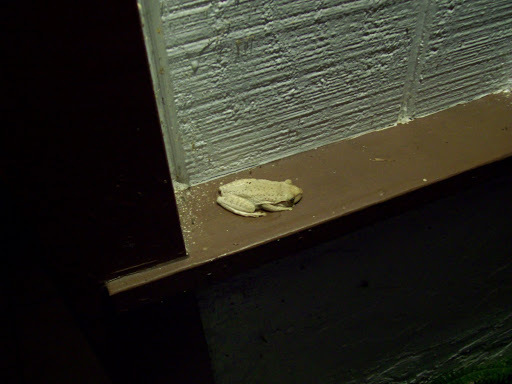 We came home the other night to find an albino tree frog sitting on the ledge under our porch light. 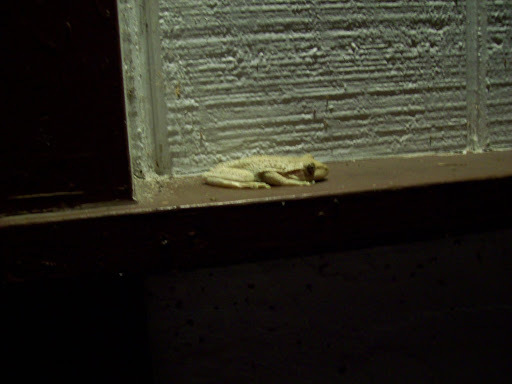 The gnats flying all around him, alighting on him off and on, didn’t seem to bother him in the least. I gently prodded him with my finger, just to confirm he was alive. 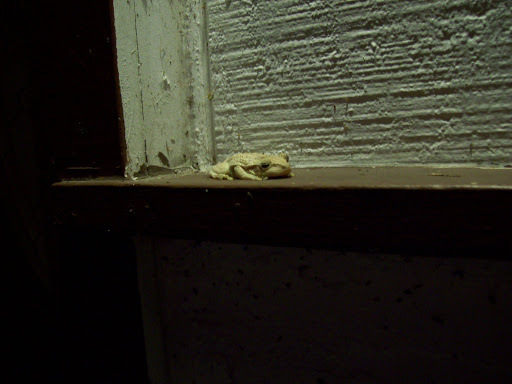 He moved a little bit, but this didn’t seem to bother him, either. So, I got my camera and took a few photos. He was completely underwhelmed by the whole encounter, but I am quite excited about having him (her?) living somewhere in my garden.